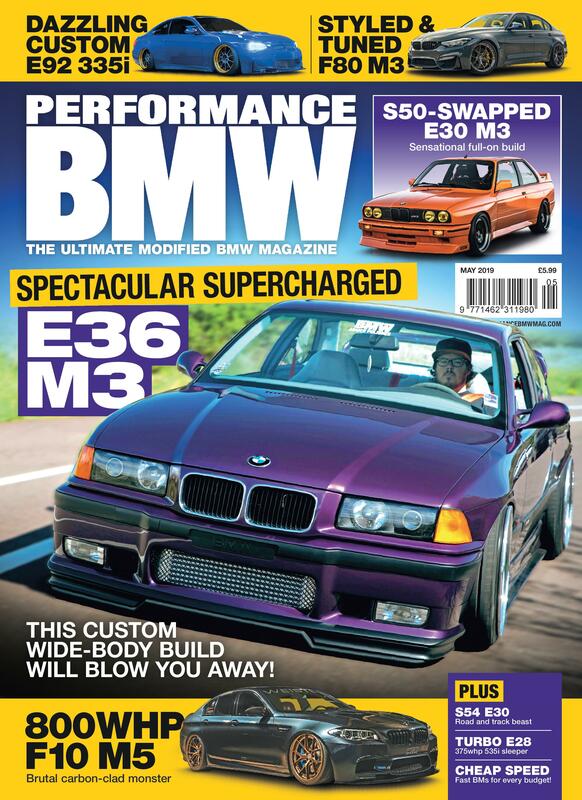 The E30 Ground Control suspension system is a bespoke suspension package. Spring rates run a full range, from comfortable daily cruisin all the way to an aggressive spec for a dedicated track car. 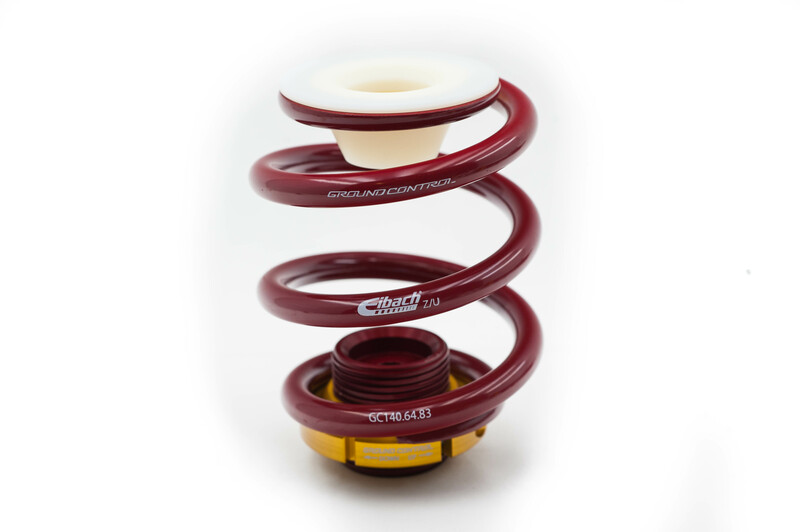 Ground Control has its own line of Eibach-made springs, and then selected damper to match. 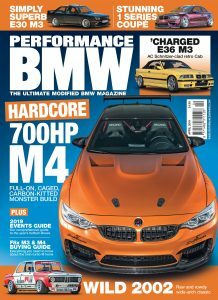 whether it be an everyday car, a track day toy or a fully-prepped race car, Ground control dyno dampers in-house to match your needs and adjust to your specficially-chosen spring rate. 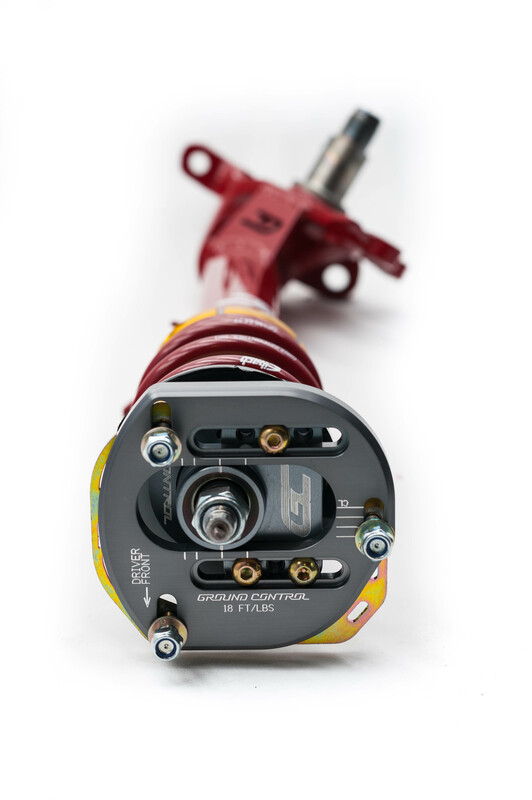 koni dampers, made specifically for Ground Control to there valving, height, and stroke specfications are used. 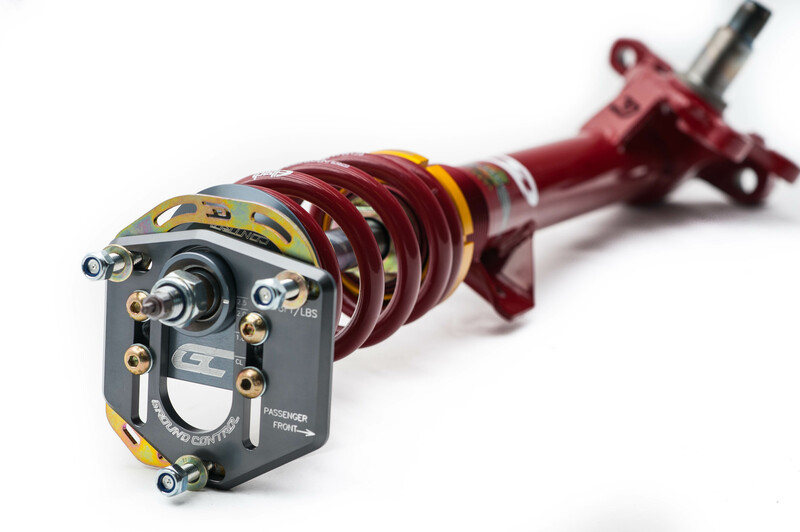 Once a spring and damper are chosen for your complete suspension system, Ground Control can find the mounting that suits your wants and needs most accurately. With four distinct camber/caster plate styles to choose from, Ground Control are certain they have an option for everyone. Ground Control are manufactures specific camber/caster plates for spec-racing and rally series. 2: Ground Control can supply instructions on how to shorten your strut housing yourself. 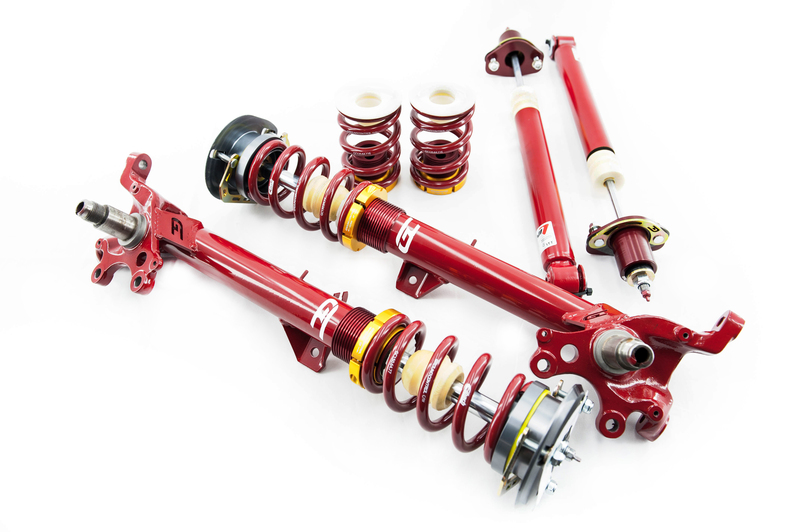 Suspension is shipped completely assembled and pre-adjusted when purchased directly from Ground Control. You install into your housing, or Ground Conmtrol mechanics can shorten, reinforce sway bar mounts, install perches and powder coat your struts for $210 per pair. Affixing the rear shock into your car, one of two options will be chosen based on your apllication. 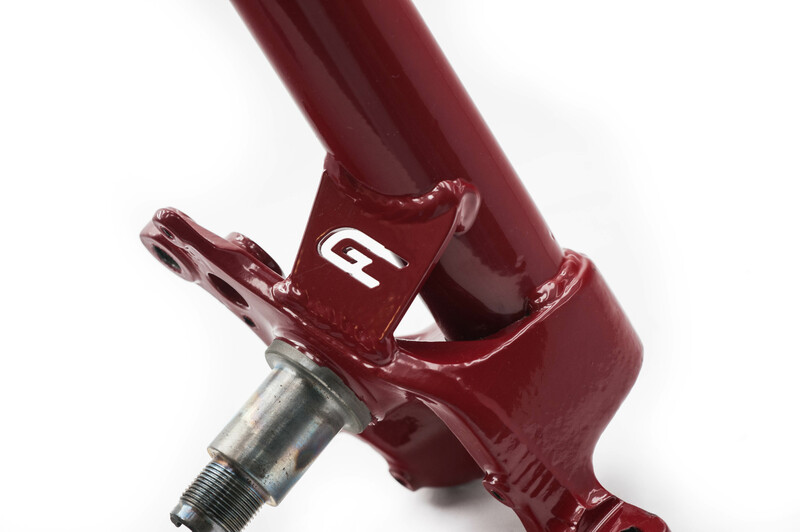 Street mounts with urethane bushings are the standard, but for those that need them, Ground Control offer a bearing-equipped race mount as well. This is a full custom suspension kit for every customer. Ground Control Pride themselves on bringing the best products to the cystomer and building their suspension to their liking, not a generic product, but rather the highest quality product they can provide.